Cornerstone undertake damp surveys for a host of clients including private homeowners, landlords and tenants all looking for a credible fact-based report on the likely causes of the damp, condensation and mould in properties. 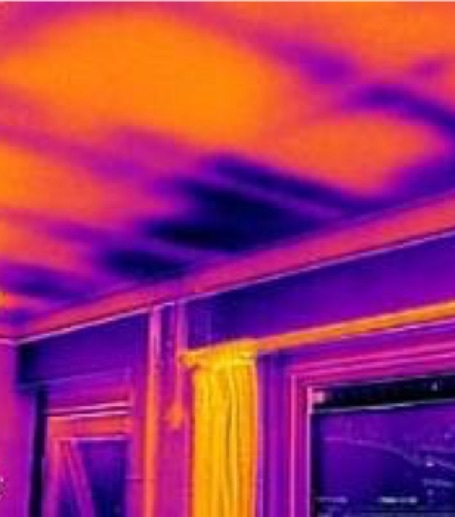 Our approach is to combine a detailed assessment of the structure with an all-encompassing assessment of internal moisture generation and ventilation measures. Not all damp in structures is caused by building faults typically, rising damp, penetrating damp, plumbing leaks and water ingress etc. Occupational activities such as drying clothes, cooking, bathing and breathing can also introduce high levels of moisture into the property and when conditions allow, can cause condensation to develop on surfaces resulting in damp surfaces. For moulds to grow and reproduce they need a food source and these can be wallpapers, plasterboard, paint, some carpets, adhesives, wood fabrics and other organic materials. 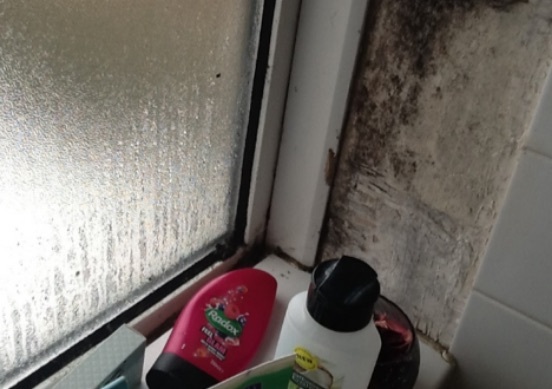 For instance, mould on tiled areas is not feeding on the tiles but the biofilm residue on it from close proximity use of soaps, washing residues, skin etc. Moulds can begin to germinate between 4 and 12 hours. However, after germination, it takes time for the mould to develop, create spores and colonise. This can can be 1-2 days for some moulds and longer for others whereby 2-3 and 8-12 days can be attributed to different mould types. Plus, did you know mould doesn’t need to grow in the dark, it’s just that such places have been attributed with damp conditions i.e. behind the wardrobe. Our aim is to get your property back to a pre-incident condition as soon as possible. We give our customers accurate timescales on how long the entire process will take. We will do everything in our power to limit the disruption and impact to the occupants’ lives and routines. Our technicians will do everything they can to limit secondary damage to your home. In the case of a fire and smoke damaged property, there is a chance that soot particles can affect your property and personal effects. We take appropriate actions to look after your items, we will store unaffected and specially cleaned items off-site until the structure is ready. We will do everything in our power to minimise the loss of items such as upholstery, artwork and documents etc. Making sure that the occupants are safe is of paramount importance to us. We will make assessments on the condition of your property and will carry out appropriate actions. Keeping open lines of communication is key to our restoration process. We have dedicated claims managers that will update our customers at every step of the restoration process. From initial assessments to completion, you will always be in the loop. Moulds can begin to germinate between 4 and 12 hours. However, after germination, it takes time for the mould to develop, create spores and colonise. This can be 1-2 days for some moulds and longer for others whereby 2-3 and 8-12 days can be attributed to different mould types. Plus, did you know mould doesn’t need to grow in the dark, it’s just that such places have been attributed with damp conditions i.e. behind the wardrobe. We recognise the effects of damp and mould on humans varies greatly and can be understood by how quickly each of us would get sunburn when exposed to the sun for the same amount of time? However, occupants with reduced immune systems can suffer colds, flu like symptoms, viruses etc as a result. Therefore, the effect on humans can depend upon on the amount of mould present, the type, the pathway to the person, how long they have been exposed and how sensitive that person is. And, it is equally important to understand what is causing the damp and how to effectively remove the mould therefore, if you are witnessing damp walls, damp ceilings or damp floors, call us now to request that detailed survey to understand the real cause behind the damp and mould outbreaks and how it can be effectively eradicated. A tailored package designed to heal the source of the problem, empower landlords and prioritise occupant wellbeing.